Arizona Native Status: Introduced. This common weed is native to Eurasia and north Africa. 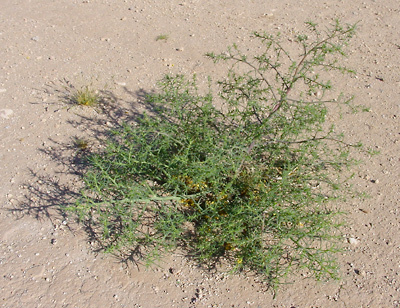 Habitat: Desert, Upland, Mountain. 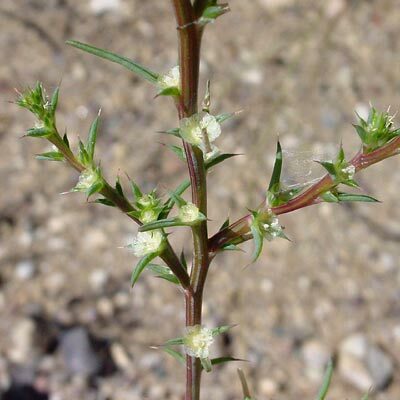 It grows in sunny, open, disturbed areas and is especially common in fields and pastures. 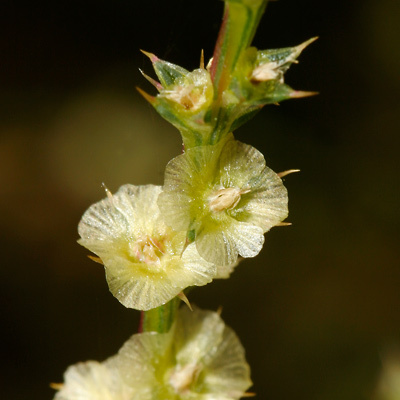 Description: The flowers are tiny, petal-less, and found singly in the upper leaf axils. As the fruit develops, the flower sepals enlarge, thicken, and become cream, pale green, pink, or red membranous wings. The leaves are blue-green, narrowly linear to threadlike, alternate, and become stiff and spine-tipped in mature plants. 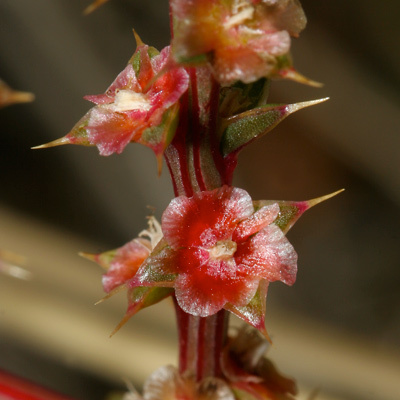 The stems are often lined with red. The plants are well-branched and grow into large, dense, mounds. When dry and tan-colored, the plants will break off at the base and tumble away in the wind, scattering seeds as they go. Although prickly like a thistle, Prickly Russian Thistle is not a true thistle. 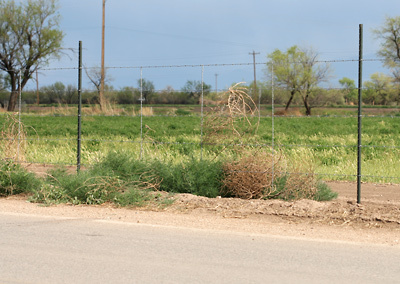 The similar Barbwire Russian Thistle (Salsola paulsenii) is not found in the southeastern part of Arizona, while Russian Thistle (Salsola kali) is not found in Arizona.